Jacob H. ("Jack") Wagner was born April 28, 1895 in Brunnental, Russia. His father was George Wagner. Jacob married Emma Werth about 1915 and later married Maria (Mary) Schmidt on June 11, 1933. Jacob Wagner worked in the family business (Wagner Auto Wheel Works) and was elected President of the Oregon Truckmen's Association. Wagner served in the Oregon House of Representatives 39th Legislative Assembly, District 5, in 1937. 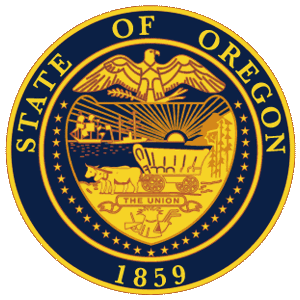 Wagner was a candidate of the Democratic party in the primary for U.S. Representative from Oregon 3rd District, in May 1938, but lost the primary race to Nan Wood Honeyman. Jacob's brother, John ("Jack") Wagner, was a successful boxer and manager and his brother Henry owned an electronics business, Wagners Radio Service, in Portland. Jacob Wagner died in November 1964 at the age of 69. "Jack Wagner To Seek Seat In Legislature." The Oregonian, Friday, April 3, 1936: Page 14, Column 5. "House and Senate Show Change." The Oregonian, November 8, 1936, page 21. "Truck Men Decry Breach of Faith." The Oregonian, June 18, 1937, page 19. "Obituary - Wagner, Jacob (1895-1964)." The Sunday Oregonian, November 15, 1964. "Obituary - Wagner, Jacob (1895-1964)" The Journal, November 16, 1964. Last updated February 20, 2018.